Sometimes it’s nice when girlfriends come over and to just get a take-away rather than cook an elaborate meal. We normally opt for Thai food and whilst getting a take-away is a hassle free way of entertaining, I usually find that I can’t help myself and end up cooking one of the dishes. We usually order a few appetisers, a stir fry and a vegetable but I like to make the curry and put on the rice. It’s still a very effortless way of entertaining. Thai curries are quite quick to make compared to Indian curries and this one is based on a curry that we used to love eating at Prasit’s, one of our favourite Thai restaurants in Surry Hills, which has sadly closed down. You can make this with any kind of seafood and it’s especially good with Balmain Bugs. Yellow curries have more of an Indian slant to them as they’re made with curry powder in conjunction with red curry paste. 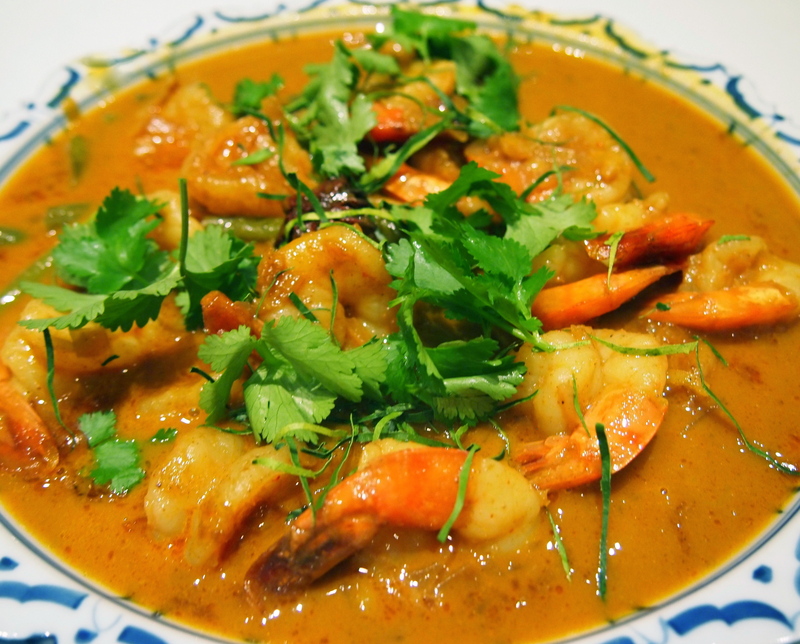 And unlike red or green curries which are quite soupy, the sauce here is thick, and clings to the prawns beautifully. Speaking of the prawns, try to get them as large as you can and butterfly them so the sauce can seep into the crevices. Heat the oil in a saucepan or deep sided fry pan over medium heat. Add the shallots and lemon grass and cook until soft. Add the curry paste, curry powder, turmeric and star anise and cook for about 5 minutes or until the oil starts to separate from the paste. If you need more oil add a little of the coconut milk and adjust your heat if you need to so as the spices don’t scorch. Add the coconut milk, chicken stock, fish sauce, palm sugar, lime juice and oyster sauce. Bring to a boil and let it simmer uncovered for about 10 minutes for the flavours to develop and the sauce to thicken. 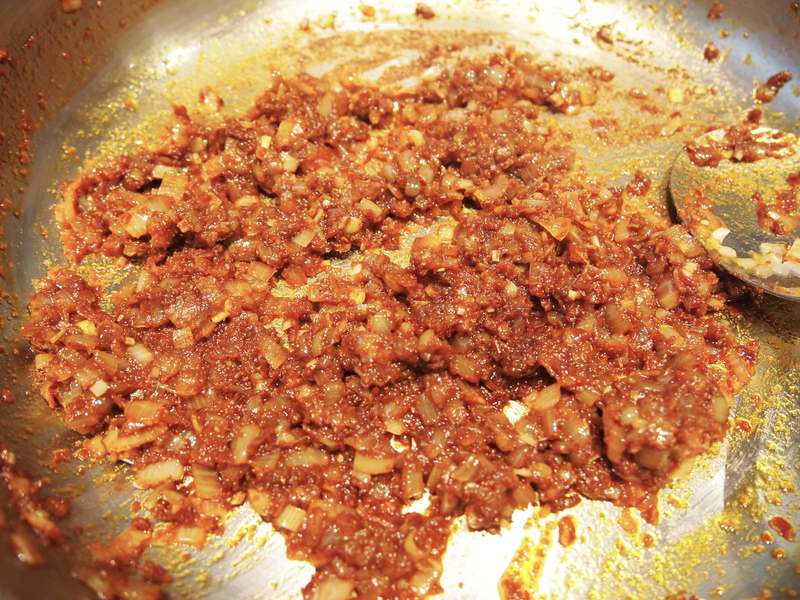 Taste and adjust the seasoning with more lime juice, fish sauce or palm sugar if you need to. 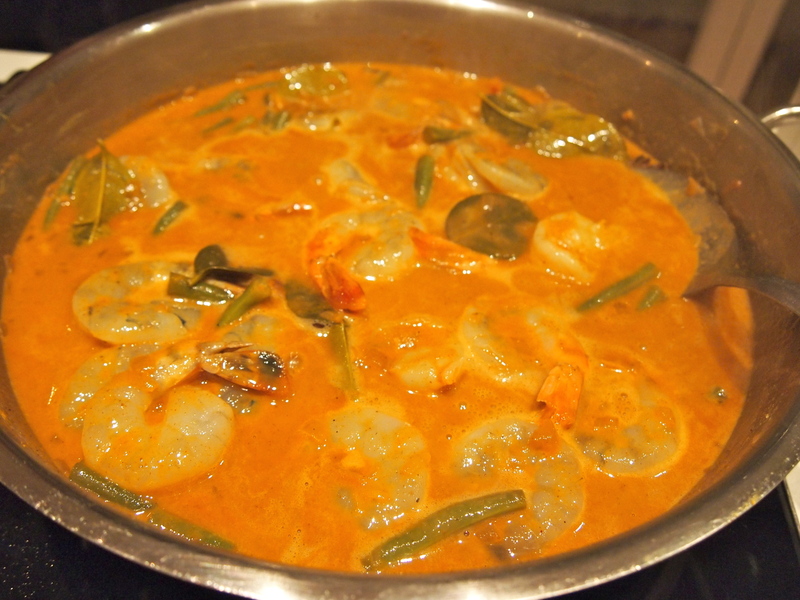 Add the snake beans and the kaffir lime leaves (crush the lime leaves in your hands before adding them to release their flavour) and the prawns. Cook for another 5-8 minutes or until the prawns are cooked through. If the sauce isn’t thick enough increase the heat so as it reduces to a nice thick consistency. 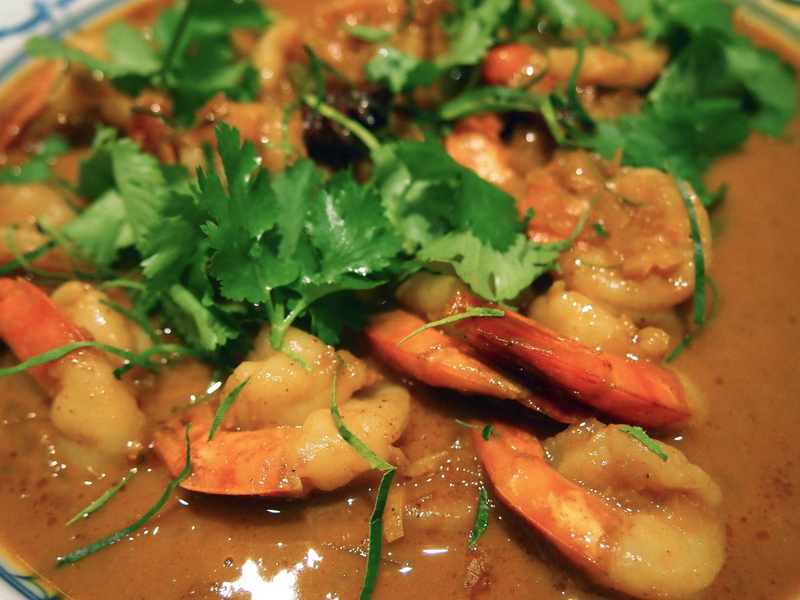 Serve garnished with the finely shredded kaffir lime and coriander leaves along with steamed jasmine rice. Just added the curry paste to my online shopping list for a dinner next week. Looks delicious and simple.